Published on August 15, 2018 in Featured Article and National. Closed Tags: bio-fuels, construction, construction industry, contractors, Diesel engines, diesel fuel, engines, equipment, fuel, Inc., Penray, transportation, trucks, water.water in fuel, winter blends, winter fuel. 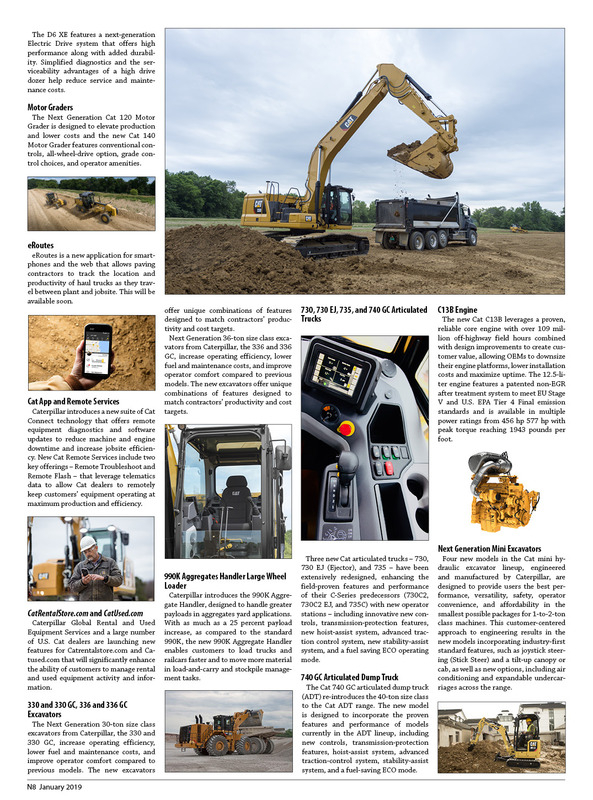 Published on December 16, 2017 in Daily Dirt, Equipment & Products and National. 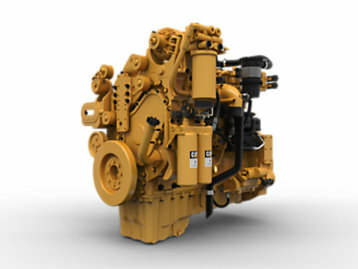 Closed Tags: after treatment, aftertreatment, Cat, Caterpillar, construction industry, contractors, Diesel engines, engines, Stage V.
The 6 cylinder, 9.3-liter engine combines a new high-pressure, common rail fuel system and simplified air, electrical and aftertreatment systems to produce up to 340 kW of power and 2,088 Nm of torque out of a package that is nearly 140 kg lighter than its predecessor. 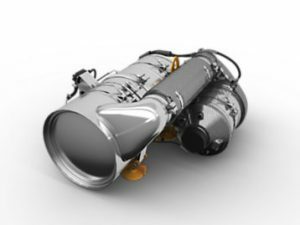 These significant system upgrades, which provide added value to OEM customers, build on the core engine, which has been in production since 2011 with more than 46,000 engines, logging more than 150 million hours in real-world off-highway applications. 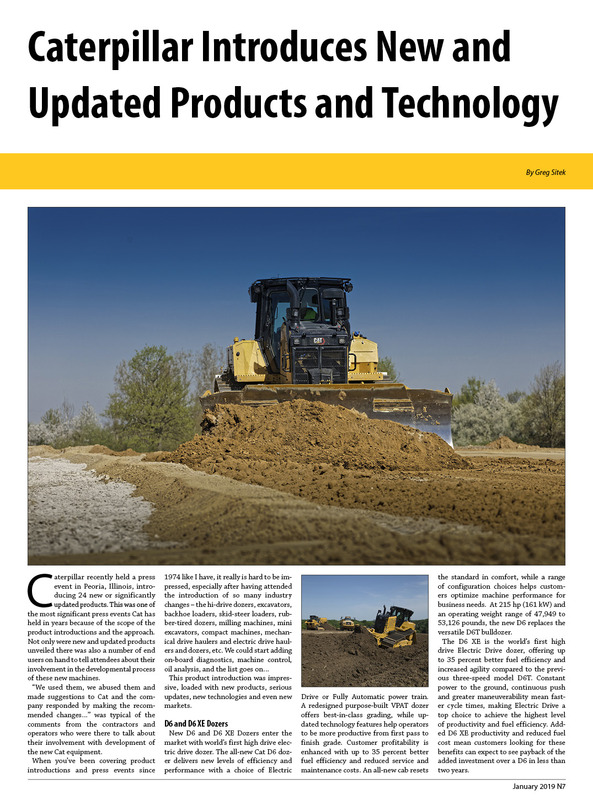 With a proven, reliable core engine and DPF (diesel particulate filter) solution already in place, Caterpillar’s focus for EU Stage V construction customers has been on simplifying design and improving performance. 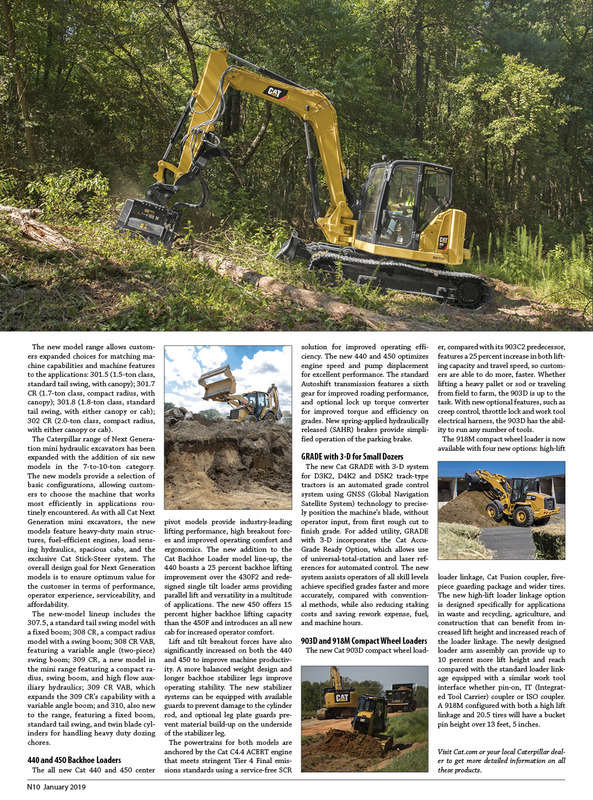 Published on July 20, 2017 in Daily Dirt, Equipment & Products and National. Closed Tags: construction, construction industry, contractors, engines, equipment, heavy equipment, Perkins, Perkins Diesel Engines, Perkins Engines. Perkins customers can now buy genuine Perkins parts online after the company’s online shop opened for business. 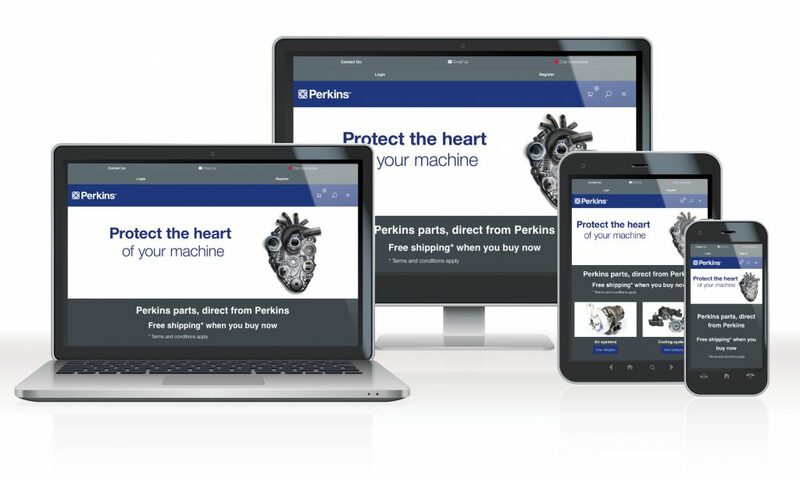 Targeted at machine owners, rental businesses, repair and engineering shops and mobile service and repair engineers, perkins.com/shop will allow US customers of Perkins engines to buy genuine Perkins parts over the internet. The online shop is supported by a new Perkins Regional Parts Distribution Center in Elizabethtown, Kentucky. Parts ordered through the shop will benefit from rapid shipping by air and road, depending on the customer’s preference, direct from the Kentucky parts warehouse. “We are making significant new investments in our Aftermarket offering, giving end users quick access to genuine Perkins parts, up to date information on their engine and service and support from their local Perkins distributor,” said Aftermarket Director Michael Wright. “The launch of the shop is a key element of our strategy to enhance the service and support millions of Perkins end users already receive from our global network of trained Perkins distributors. To support Perkins’ US customers, all parts orders placed on the new perkins.com/shop before July 31, 2017, will benefit from free road delivery. 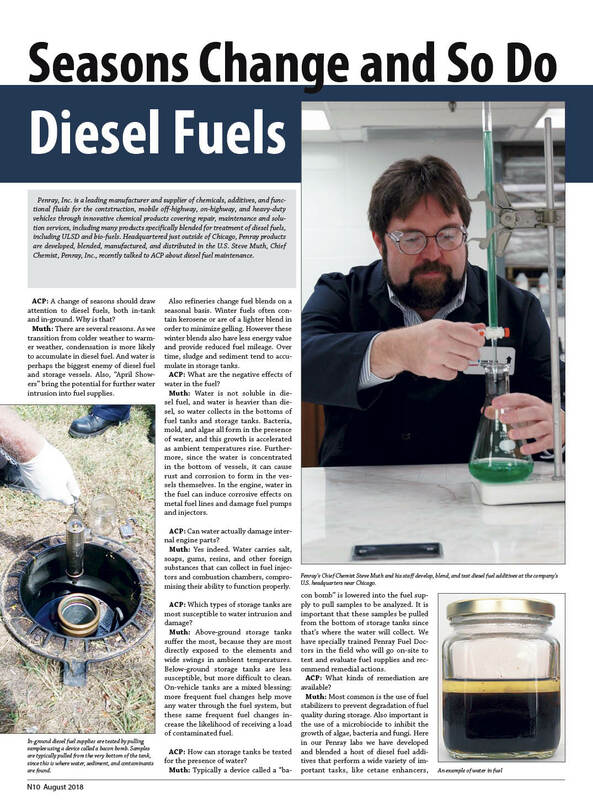 Published on July 1, 2012 in Featured Article and National. Closed Tags: Cat, Caterpillar, construction, construction industry, contamination, contractors, Donaldson, engine life, engines, equipment, heavy equipment, maintenance, oil, Oil Analysis, particle counting, Scheduled Oil Sampling, SOS. Cat S∙O∙S Services provide information to help you make maintenance decisions, reducing owning and operating costs, and maximize component life. This is a quick and easy program to help your equipment remain productive, and maximize the value of your investment. The two components of S∙O∙S Services are Oil Analysis and Coolant Analysis. Component Wear Rate analysis evaluates the wear taking place inside the lubricated compartment. Your S∙O∙S Analyst uses the results of elemental analysis and particle count tests to evaluate the wear. Trend analysis and proprietary wear tables are then used to determine if wear rates are normal or abnormal. Listed below are some common areas of concern. Oil ConditionOil Condition analysis is used to determine if the oil has degraded. Tests are done to look at the viscosity, oxidation, sulfation and nitration of the oil. All lubricated systems risk oxidation damage of the oil. Therefore, it is recommended that oil samples from all compartments be analyzed for oil condition. Your S∙O∙S Analyst uses established guidelines or trend analysis to determine if the oil has reached then end of its useful life. Oil contamination tests are performed to determine if anything harmful has entered the oil. This analysis relies on results from the following tests: elemental analysis, soot, particle count, fuel dilution, water, and coolant. The S∙O∙S Services program has guidelines for the level of contamination allowed in the various compartments of a Cat machine. Inadequate cooling system maintenance can eventually lead to system problems or even engine failure. S∙O∙S Services offer a two-level Coolant Program to determine if your coolant has the right chemical balance for maximum system protection and cooling efficiency. Diesel engines are designed to operate at higher temperatures and higher energy levels than in the past. Today’s heavy-duty diesels produce a tremendous amount of power from a small package. Cooling systems have to absorb more heat with smaller cooling systems and less coolant. A cooling system may also be transferring heat away from turbochargers, transmissions, hydraulic systems and other components. 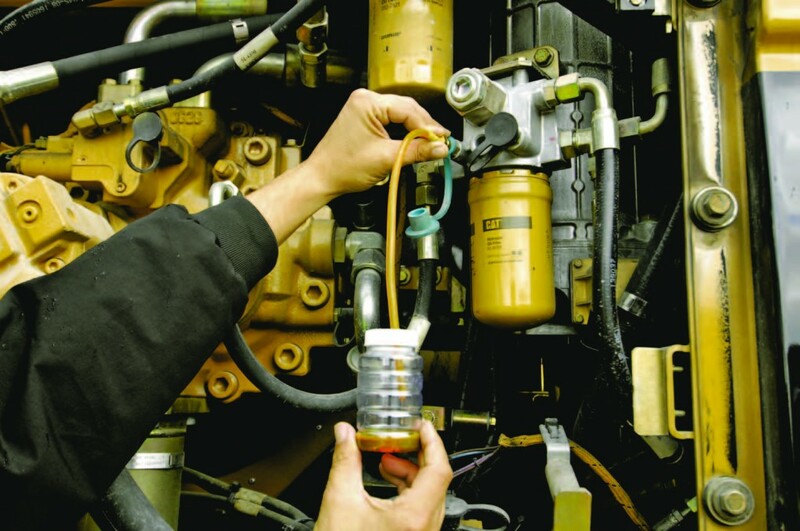 In addition, used coolant disposal requirements have become more stringent and expensive. You may be extending coolant drain intervals, recycling coolants or reconditioning coolants to reduce the disposal costs. For all these reasons, S∙O∙S coolant analysis is highly recommended to achieve optimum performance and the full life designed into today’s machines and engines. Four types of analysis are performed during coolant testing; Coolant Type, Boil and Freeze Protection, Coolant Condition, and Contamination. 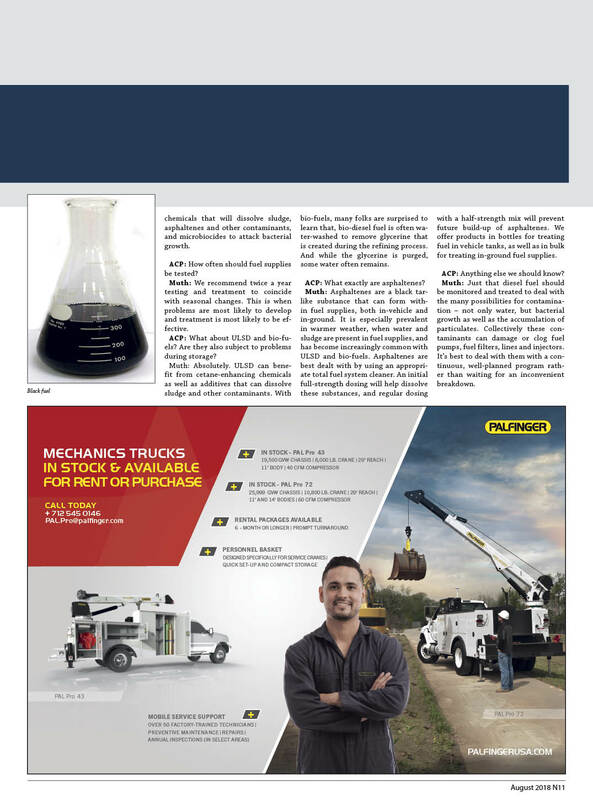 This article appeared in the june 2012 issues of the Associated Construction Publications (ACP) magazines national section.